Home → Verve La Vida! Verve La Vida. Energize your life! The true value in life lies within the experiences that elevate us to our greatest potential. To live with passion and purpose is our highest calling. This exhibition explores life through a lens of colour, energy, and motivation. Inspiring growth and personal reflection on the things that are most important to us. As part of it’s Grand Re-Opening Event, on September 6th, The Kitchener Public Library will feature an exhibition of fine art by yours truly, aptly named Verve La Vida! 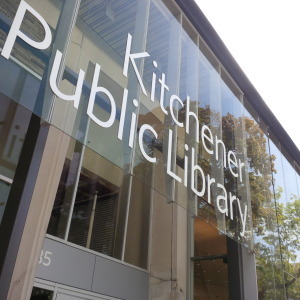 The Kitchener Public Library strives to connect the community to a world of imagination, information and discovery through it’s collections and services. After undergoing extensive renovations to create a beautiful new space for it’s patrons, the KPL is ready to throw open its doors and celebrate it’s brand new look! 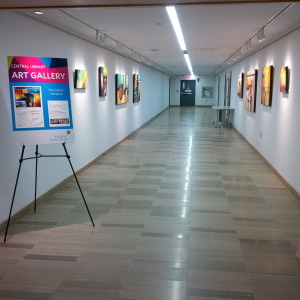 The exhibition runs from September 3-27th in the main library’s lower level gallery located at 85 Queen St N. Kitchener and will be open to the public during regular library hours. We look forward to seeing you at the Opening Reception September 6th, 1-4pm!! On September 2, 2014 / blog / Comments Off on Verve La Vida!